When asked what they look for in healthcare, patients overwhelming cite a provider who listens to them, who is caring and compassionate, and who explains conditions, treatment options, and procedures clearly. In other words, they want their provider to have solid communication skills—it makes the difference between a positive, healing experience, and a frustrating, potentially harmful one. To achieve what most providers go into healthcare to achieve and truly improve patient health, they must move the needle on patient communication. They must be cognizant of different communication styles, provide a space for ongoing, open communication, and carve out sufficient time for conversations with patients. Not doing so results in poor outcomes, widening disparities, and expensive errors. Doctors are trained for precision, to provide scientifically sound feedback and make treatment decisions based on the evidence. But patients are looking for more than that—they want an open, communicative relationship with their provider. Improving provider-patient communication is about more than meeting patient demand—it has to do with patient safety. An estimated 80 percent of medical errors are the result of poor communication. 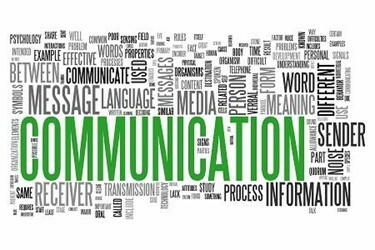 And according to CRICO Strategy’s report on communication in malpractice claims, communication was a factor in nearly one in three malpractice cases, resulting in over $1.7 billion lost to settlements and court expenses. In the worst of all possible situations, communication breakdowns result in death. CRICO’s report found 1,700 deaths to be the result of communication error over a period of five years, and that is only counting the particular situations in which malpractice cases arose. In a world where comorbidities are on the rise and our healthcare system is ever more fragmented, communication errors have the potential to become increasingly problematic. Safety is essential, but providers must go beyond providing safe experiences. They must promote health, treat disease, support chronic disease management, and more. They must address patients’ particular health concerns and work to improve their quality of life. But studies show providers with poor communication skills may be less successful than more advanced communicators in these efforts. One meta-analysis found that patients whose doctors communicated poorly were 19 percent less likely to adhere to their care plan. Low adherence can put patients at serious risk of poor outcomes and ultimately dilute the benefit they receive from healthcare services. Providers must pay attention to their communication skills in order to maximize the health benefit patients receive from healthcare services. Evidence suggests communication interventions in healthcare settings can be effective, that doctors can and do learn from these types of trainings, particularly as they support patient-centered care. But there is so much more the healthcare industry can do to support provider-patient communications beyond trainings and courses, without adding yet another documentation requirement to providers’ plates. Lengthening appointment windows for high-risk patients. Not every patient needs a 40-minute appointment, but for certain patients it could help. Longer appointment windows allow the provider and the patient to have more meaningful conversations around health goals, treatment options, and care plans. The added time gives patients more opportunities to ask important questions and to participate in shared decision making with the provider. Furthermore, new technology can draw insights from the EHR to optimize providers’ schedules, preventing unnecessary double-booking and lengthening appointments for patients with high-priority needs. Minimizing the reporting burden on providers. Longer appointment windows can be beneficial, but caring for a full patient panel when providers are also spending more than five hours on the computer for every hour and a half with patients is unsustainable. Leveraging the full care team, automating manual tasks, and simplifying the technology providers are using are all critical to helping providers spend more time communicating with patients and less time behind a computer screen. Giving providers simple and secure tools to communicate with patients between visits. Ultimately, health outcomes happen largely outside of healthcare delivery. Allowing providers and patients to continue communicating beyond the traditional medical visit through simple and secure tools can move the needle on outcomes by promoting healthy behaviors and improving medication and care plan adherence. Even simple text-messaging interventions can be incredibly powerful. A wide range of studies have found text messages to be effective at improving things like chronic disease self-management, diet and exercise, and medication adherence. Communicating equitably with patients. Finally, providers must start using text messaging to reach patients—it is by far the most equitable way to reach a diverse patient population. As of last year, 99 percent of U.S. adults under 60 had a cellphone—that’s far greater than the 84 percent that own a computer and the less than 50 percent of households with a landline. In fact, most low-income and racial and ethnic minorities are more likely to depend on a smartphone for internet access, making it critical that providers start reaching patients on the most widely used feature on the most ubiquitous device—text message. Encouraging providers to slow down and focus on communication does not have to be just another task imposed on the already burnt-out provider population—technology and care design can carve out valuable time for provider-patient communication. Letting communication breakdowns continue, however, is not an option. Doing so would lead both providers and patients down an increasingly costly, and harmful, path.